I write Middle Grade and Young Adult books. My characters all live in or travel to different countries. My goal is write entertaining stories that help children to appreciate diversity in people and cultures, and to treat everyone with kindness. I hope you enjoy my personally tested and edited recipes from places around the world. 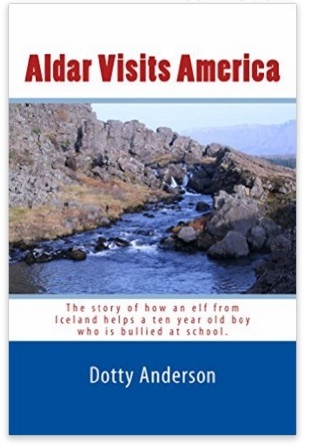 Aldar Visits America, Aldar, a Iceland elf, hides in the backpack of an American 5th grader touring Iceland. When Aldar learns that Edwin is being bullied at school, he disguises as a school boy and helps his new friend. 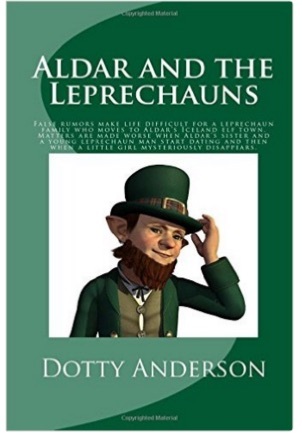 Aldar and the Leprechauns, Aldar helps a family of Leprechauns overcome prejudice when the Irish settlers wish to settle in Iceland. Many of the elves in Aldar’s town believe false rumors about Leprechauns. Matters are made worse when Aldar’s sister and a young Leprechaun man start dating. When a little Iceland girl mysteriously disappears, the town’s elves mistakenly think the Leprechauns are to blame. Aldar and the Golem of Prague Aldar loves his native country of Iceland, yet he longs to see other places in the world. An opportunity comes when he learns from a visiting elderly elf professor about YAVO, a long lost troll who is deeply missed by his family. 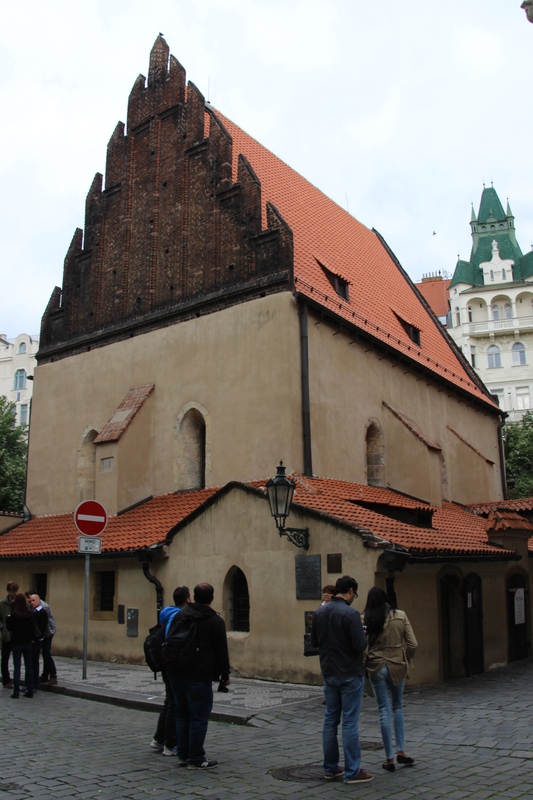 The professor believes that Yavo is none other than the legendary GOLEM of PRAGUE. 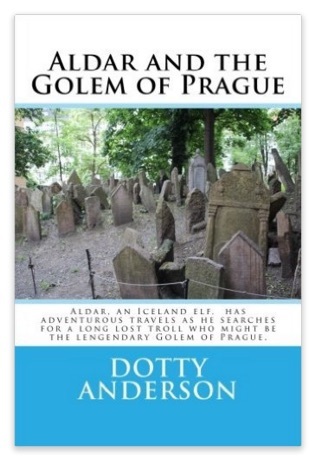 Aldar with his pointed ears covered, disguises as a short human and travels to Prague, where the legend says the golem is hidden in the attic of the Old-New Synagogue. This is the beginning of an adventurous journey through Europe which teach him about other countries and cultures. Does he find Yavo? Does he find the golem? You will have to read the story to find out. Being a mischievous elf, he gets into some unusual situations along the way. He makes mistakes, but learns from them. Young readers are shown the importance of treating all people with kindness and dignity in this light-hearted, sometimes serious, story with some unusual plot twists. Read more. 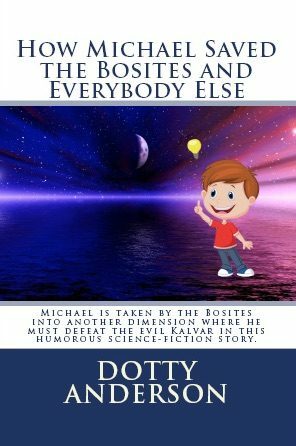 How Michael Saved the Bosites and Everybody Else, is a Middle Grade humorous sci-fi story. The Bosites, except for their once a month BBQ at Glen Daire, Ireland, live in another dimension. Their existence on Earth is tied to life in nature. As global warming increases, more species are dying and more Bosites are leaving the Earth. The Bosites are incapable of doing anything devious, deception, and /or dishonest; therefore they need a human to help them deal with Kalvar, a human who has taken over another Bosite faction. Kalvar’s method of stopping global warming is the destruction of human civilization. It is up to 12-year-old Michael McCracken to use the intelligence he thought he never had to stop Kalvar from carrying out his diabolical plan.. 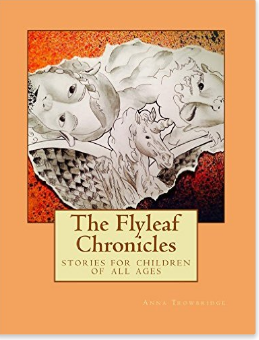 The Flyleaf Chronicles —A collection of short stories and poems for children by writers, including myself. The proceeds from the sale go to support Diabetes research. The book was published by Alta Publishing in the UK and is available from Amazon. Seventeen-year-old Audrey McMillan joins her professor father during his summer sabbatical at the University of Bologna. 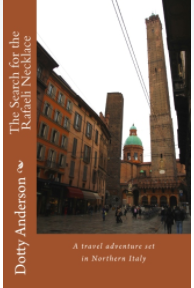 She is approached by Carlotta, a strange old woman who sets her on a dangerous adventure through Northern Italy to find the clues to the location of a priceless necklace hidden by her Nazi father during the war. Carlotta, obsessed by guilt for being the illegitimate daughter of a Nazi SS officer, wants to find the necklace so it can be returned to the daughter of the original owners. Audrey is tormented by the idea that she could have prevented the suicide of a high school friend had she not denied his request to meet with her; thus she is sympathetic to Carlotta’s plight and decides to help her, even when it becomes clear that the Mafia is on her trail. This contemporary travel story, which includes the tragic history of Carlotta and her parents, is lightened with romantic comedy when Audrey meets two very different university students. Its poignant theme concerns the destructive power of guilt and healing power of human forgiveness. Hi, Dotty. Thanks for the follow and message on Twitter. Happy to find your blog and have liked your Facebook page as well. Happy Writing & Happy Holidays!